Inspired by the beauty of geese migrating on a clear fall day along the South Texas coast, this quilt is created with Robert Kaufman’s Kona Cotton Solids and features four color-ways– Grey, Blue, Pink and Neutral– in 2 different colors, ranging in light to dark value. 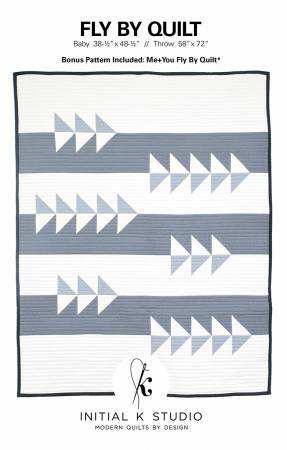 This beginner friendly pattern includes measurements, easy-to-use instructions, and a quilt diagram to create your own Fly By quilt in baby (38-1/2in x 48-1/2in) or throw size (58in x 72in). Please be sure to read through all of the instructions before you begin.